This unit can make two attacks in your assault phase. 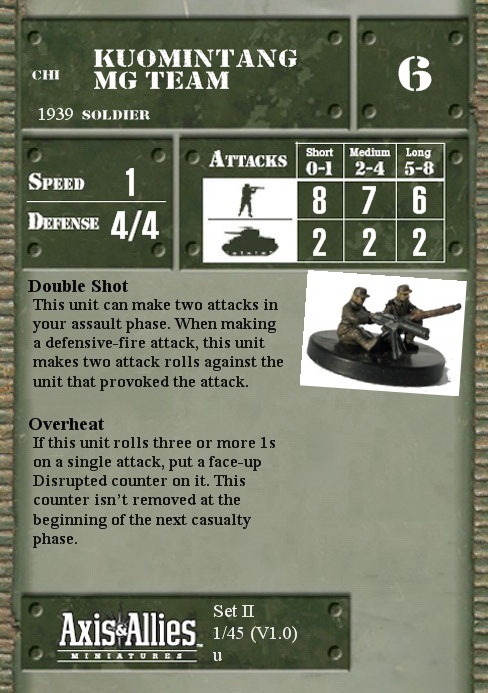 When making a defensive-fire attack, this unit makes two attack rolls against the unit that provoked the attack. If this unit rolls three or more 1s on a single attack, put a face-up Disrupted counter on it. This counter isn’t removed at the beginning of the next casualty phase.